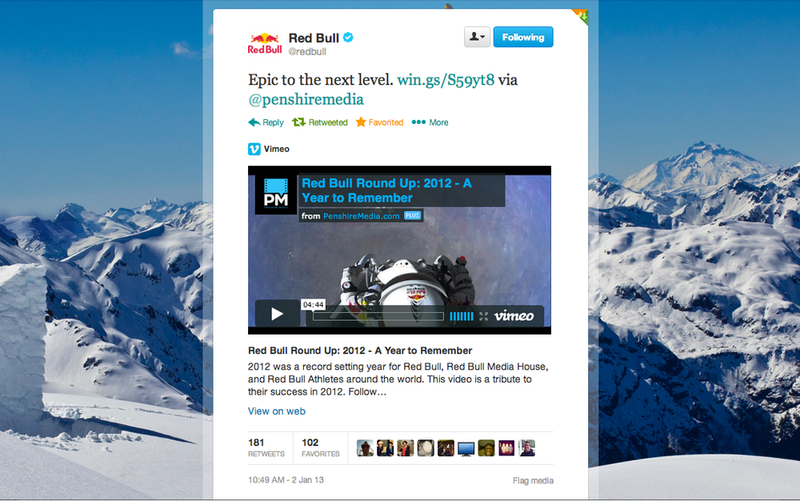 Red Bull promoted a video I created, titled "Red Bull Round Up: 2012 - A Year to Remember." It was obviously a huge honor to have Red Bull promote the video, but what I found most interesting is where people were watching the video. Thanks to Vimeo's video analytics program, I was able to see every country the video was viewed in. Within one month (as of 2-1-13) the video has been watched in 105 countries around the globe. The full country list, sorted by views, is below (as of Feb. 1st 2013). Some of the countries at the bottom of the list are pretty surprising. Shout out to whoever watched the video in Zimbabwe!